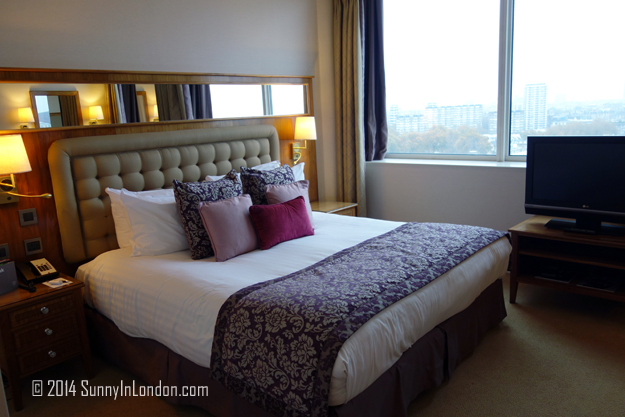 Lancaster London Hotel hosted my one year wedding anniversary celebration with Mr. Sunny, and it couldn’t have been better anywhere else. Our journey to get to this milestone has been filled with love, and sadly loss. I met Mr. Sunny during my Florida State University days as an intern at NBC News London. Since an international long distance relationship wasn’t feasible, we went separate ways. 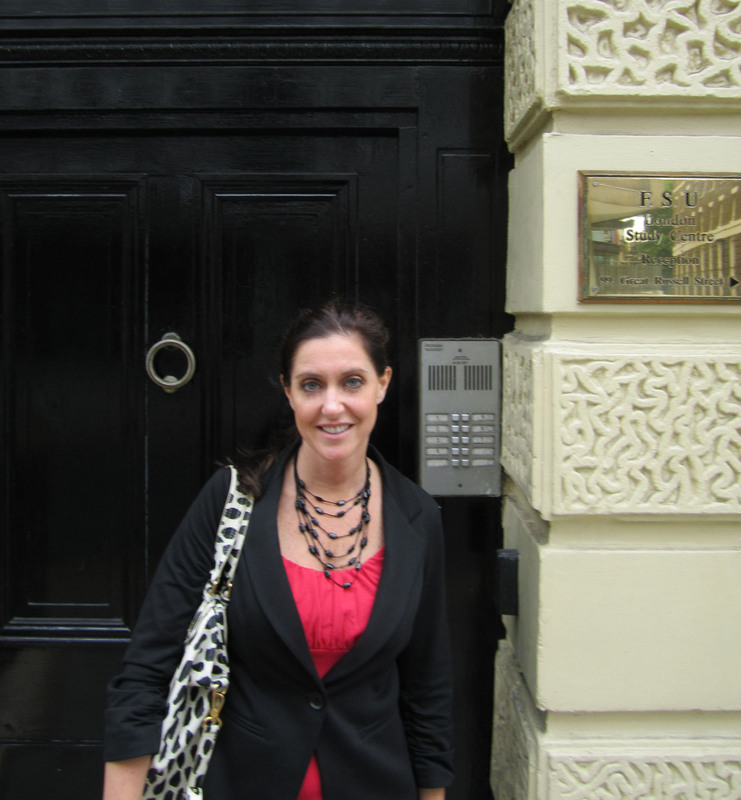 We got back in to communication in 2010, and I visited London in August 2011. Here’s a picture of the day we stopped by my old flat. We decided to give a long distance relationship a go. When I arrived to visit again in December, Mr. Sunny proposed to me at Heathrow Airport. Not kidding. He asked me in the car park. It actually was romantic. He had booked a VIP pod on the Observation Wheel at Winter Wonderland and planned to propose there. There was going to be a bottle of champagne and a spectacular view. However, when leaving for the airport on December 23, he couldn’t wait and brought both rings with him. Yes, he had two. Mr. Sunny bought two sizes of the same ring so he could make sure one fit, if I said yes. Shocked by a proposal after an 8 hour plane ride, I did say yes. We enjoyed Winter Wonderland a few days later, however the view was disrupted by a rainy, windy evening. I did include the VIP Pod experience at Winter Wonderland on the blog. Our wedding was delayed until November 25, 2013 because of numerous complications and life turns. The UK visa process changing at the same time Hurricane Sandy hit the UK Embassy in New York was one problem. My dad’s battle with cancer was the most heartbreaking event. We planned our wedding in America a few days before Thanksgiving. My dad wasn’t well enough to attend the ceremony, but he at least saw me off to it. 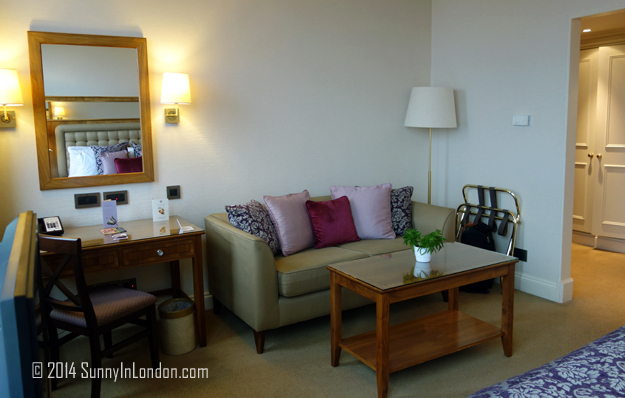 During the process of coordinating the next #LDNBloggersTea, Lancaster London Hotel learned about my upcoming anniversary, taking place days before the tea. Their extremely close proximity to Winter Wonderland was a sentiment we couldn’t miss. Mr. Sunny and I were able to celebrate our first wedding anniversary as guests of the hotel. 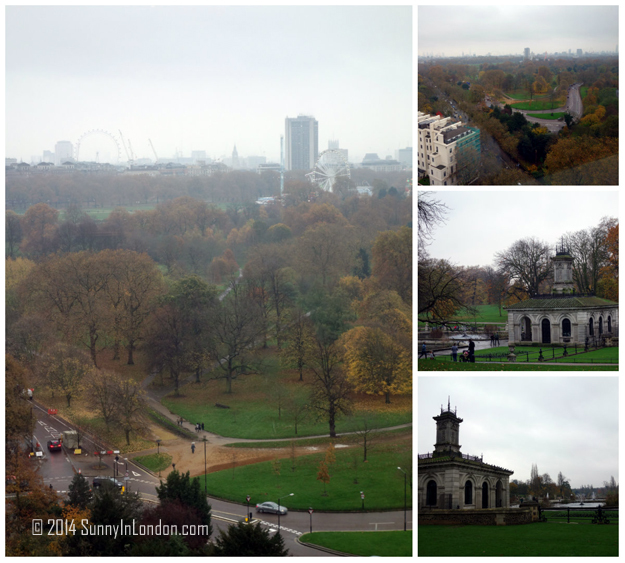 Our room had a stunning view of Hyde Park on the 18th floor. 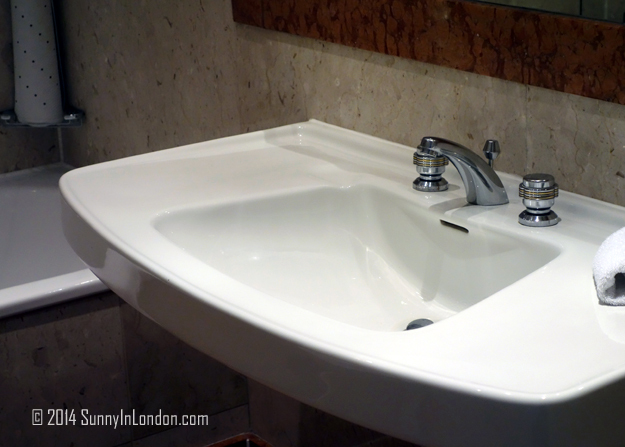 And it had the biggest bathroom sink I’ve ever seen! In the picture on the left you can see the London Eye in the back and Winter Wonderland’s Observation Wheel on the right. 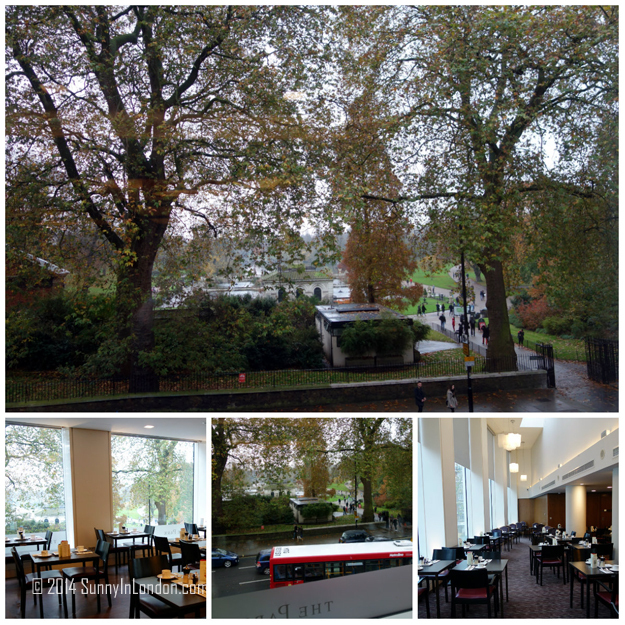 We loved the Lancaster London Hotel and enjoyed drinks by the fire in the lounge and the views of Hyde Park (albeit cloudy) at breakfast the next morning. I highly recommend staying there to take advantage of its proximity to so many places and events, especially Winter Wonderland. As you can see, there wasn’t much sun outside for our weekend, much like the first time I went to Winter Wonderland three years ago. But, if you haven’t guessed by now, the sun doesn’t always shine in London, or in life. When faced with cloudy views and bad weather, you just need to create your own sunshine. Losing my father, getting married, moving to London and trying to start a new career in the same year has been quite a personal journey. Celebrating sunshine and creating my own on days that are grey have made it a much better ride. And it’s definitely better with Mr. Sunny by my side! 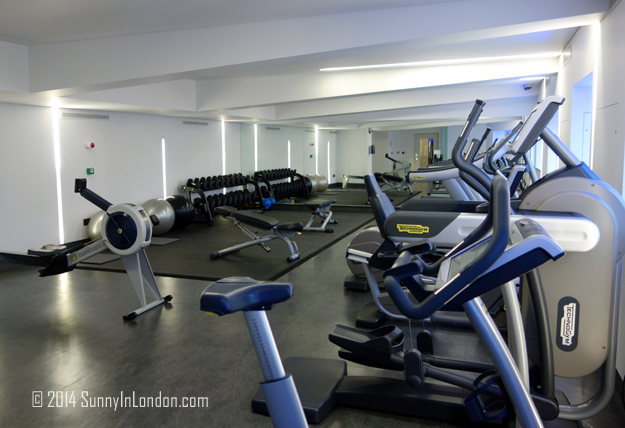 For Lancaster London reviews and rates, click here. 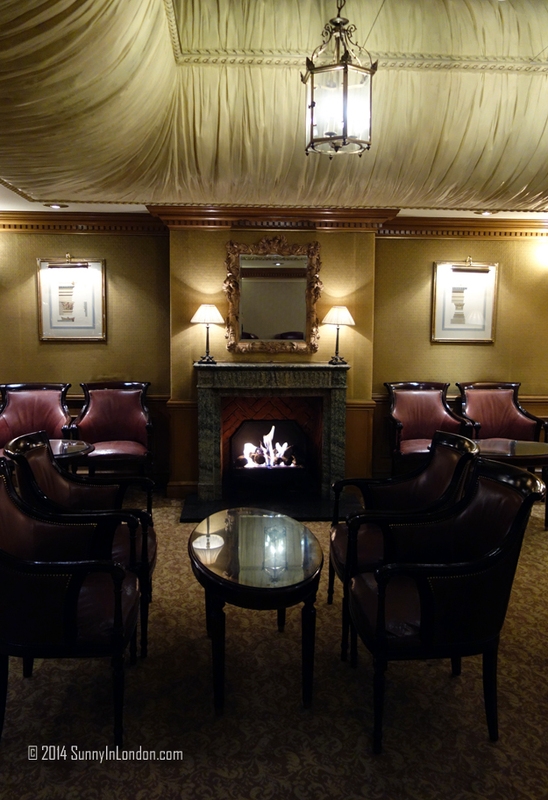 Thank you, Lancaster London, for the wonderful weekend of inner and liquid sunshine. 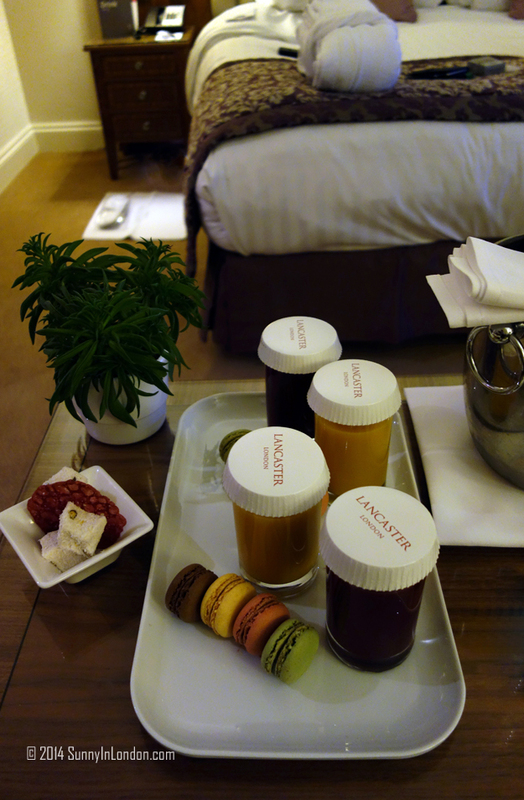 We loved the champagne and sweet surprise we found in our room at night! And, Mr. Sunny- Happy Anniversary! What a ride! What an adventure! Nothing makes the ups and downs better (and smoother) than having someone at your side for support 🙂 Happy anniversary! Thank you! And many thanks for taking the time to read about it and comment. Yes, Mr. Sunny and his family have been amazing through everything. Cheers! Wonderful story and review! Happy anniversary to you and your beloved! Thank you for taking the time to read and comment, Jean! We had a fabulous celebration at the hotel and Winter Wonderland, despite the grey skies! Thank you, Lucy! It hasn’t been an easy road the past year, but our celebration at Lancaster London and Winter Wonderland was a great celebration of the happy times.